Fatimoh Muhammed, Nigeria’s former middle distance sensation, has been able to galvanise her California community to rally round the elite athlete development grant where they supported the project with donations. 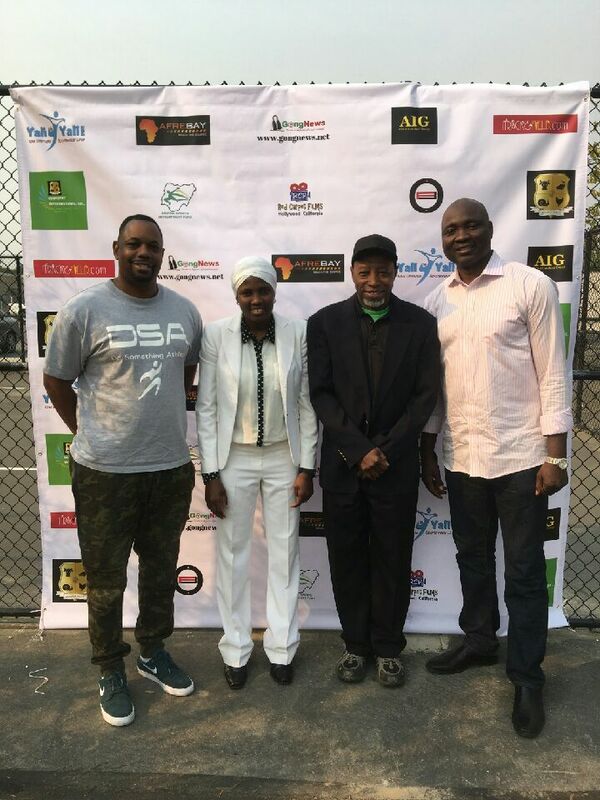 The event which took place in the Olympic High School in Santa Monica, the same community where sensational Olympians of worth were discovered and nurtured into stardom include the legendary Carl Lewis, was home for the first of three events lined up to raise awareness and support for the dream of 90 Nigerian Olympians heading to Tokyo 2020. Jimmy Thomas-founder of Do Something Athletic (DSA) told the story of how he formed his organisation in 2016 and has been passionately dedicated to making the youth and amateur sports experience from the standpoint of coaching, team organisation, parent participation, athletic education and entertainment a better and more productive experience for team sports and groups. “DSA is the linkedin of amateur and youth sports, the largest database of youth and amateur athletes, coaches and parents. DSA allows its user to connect, communicate and chronologically capture their entire youth and amateur sports participation. By creating and sharing a profile card which contains everything about your sports career (your resume) including Bio, video highlights, photos, awards, achievements, stats, social media, and much more making DSA a must have piece of equipment for every and all sports. document and help manage it all. The legendary Elanda Philip was the event planner. She added panache and aesthetics to the event alongside Saadia Joe. Suleiman Adeyemi also was the compere. Principal of the Olympic High School who donated the hall and chairs, Anthony Fuller had the backing and support of teachers of his school. Lekan Abdulsalam, the Chief Executive Officer of Afrebay made a prominent appearance just like Kolapo Soretire of the RedCarpet Films like Afolabi Onanuga who provided the music and sound. Coach Fischer led the Santa Monica High School Track and XC team. Christine Recor and the Recor family also joined in the fray just like Florence Edi. Companies with logos on the red carpet background include Wamufat Farm, Wamufat International Inc, Yali-Yali sportswear, www.gongnews.net, RedCarpet Films, AfreBay, AIG, Bennett Fit, itrackandfield.com, and NSDFI. During the week, Muhammed is organising another athletics family show while at a later date she will be putting together a magnificent show where she will bring in the bigger audience to rise and support the venture of taking these 90 athletes to the Tokyo Olympics. It would be recalled that Fatimoh Muhammed is one of the members of the Governing Board of the Elite Athlete Development grant who are to supervise the administration of all funds raised to ensure it is used by the 90 athletes to not only qualify for the mundial but also make an appreciable podium appearance.